Knowing a few Latin word roots can really boost your English vocabulary. 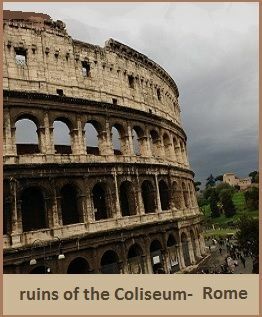 On this page you can practice some of the most useful words from the roots on 50 Word Roots from Latin. Over time the meaning of precise changed to ‘exact.’ So precision instruments are the tools needed for delicate or fine work: for cutting diamonds or surgery. To practice another form of precise, see the first practice paragraph. Ferre is to carry or bring. Conference is to bring people together; differentiation is showing how things are different (carrying them apart in thought.) To infer is to figure something out from limited evidence. It is related to-- but not the same as-- imply below: one person implies a situation without stating it clearly; the other person draws a conclusion from what is said and makes an inference about it. Jactare is to throw. An objective is a goal to work towards. As an adjective, objective means something that looks the same to everyone, as compared to subjective-- a person’s opinion or way of looking at things that may be quite different from someone else’s opinion. Statuere means to put or set. A constitution is the document that sets or determines the basic laws and structure of a nation or group. (A law that is not in agreement with it is unconstitutional.) To institute is to establish or start an organization. (If it’s an official one, it’s an institution, like a school or hospital or government agency.) To substitute is to replace one thing with something else that’s similar. Volvere means to roll or turn around. To involve someone is to bring him or her into a group-- to make a connection. Evolution is gradual change over time; revolution is rapid, often violent change. allocate, commitment, conference, constitutional, contribution, decline, definite, distort, evolving, explicitly, implying, inclination, include, institution, involved, legislation, objective, precisely, reaction. , Exercise your Sense Vocabulary, Roots of Comparison, and Important Latin Roots. Home> Roots, Prefixes, and Suffixes> Practice Words from 50 Latin Word Roots.